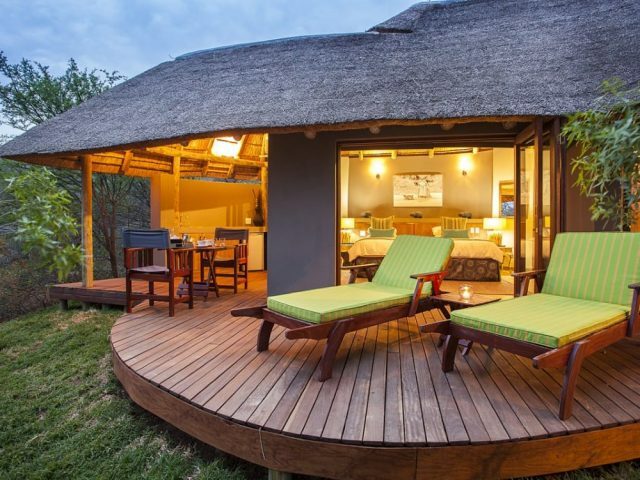 The newest and most luxurious lodge in the Pilanesberg bringing cutting edge contemporary safari architecture and décor within easy reach of Guateng – Lush boasts the “WOW” factor in spades with its upmarket and minimalistic style! At Bushscapes we’re absolute suckers for outdoor showers – there’s nothing like standing there, surrounded by the smells and sounds, not to mention the sights of the surrounding bush, whilst enjoying a cascade of warm water! the 5 suites are absolutely gorgeous with a string of features that’ll have guests swooning with delight – from the private plunge pools to the romantic stand-alone baths which are actually inside the bedrooms, not to mention the lovely outdoor shower on the deck! 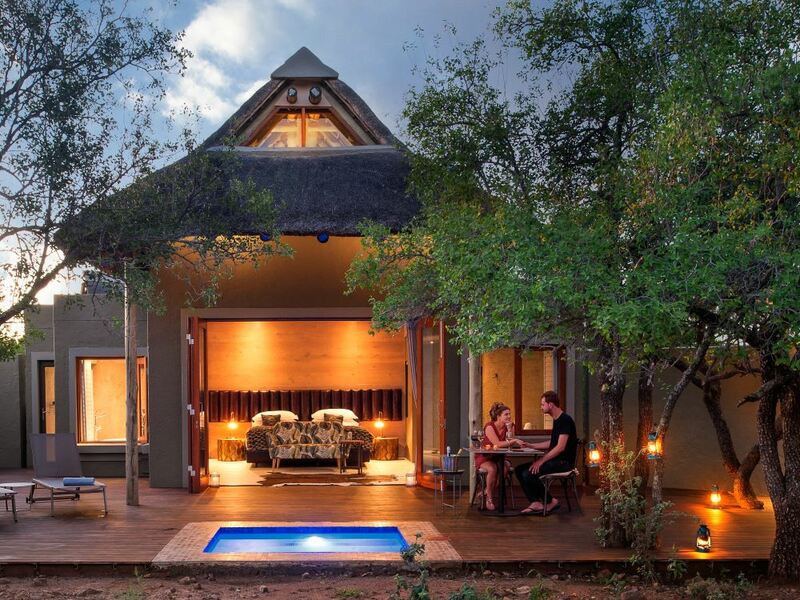 One of the noticeable trends when it comes to the Pilanesberg is the launch of more upmarket, luxurious and stylish lodges – and the new Lush Private Lodge has effortlessly leapt to the head of the pack! Boasting the latest contemporary safari lodge styling and décor touches more commonly associated with the top lodges in the Sabi Sands for example, fashionistas not wanting to travel that far (nor pay the extreme prices!) can now rejoice as Lush has now brought this cutting-edge safari aesthetic to the reserve most conveniently accessed from Gauteng. 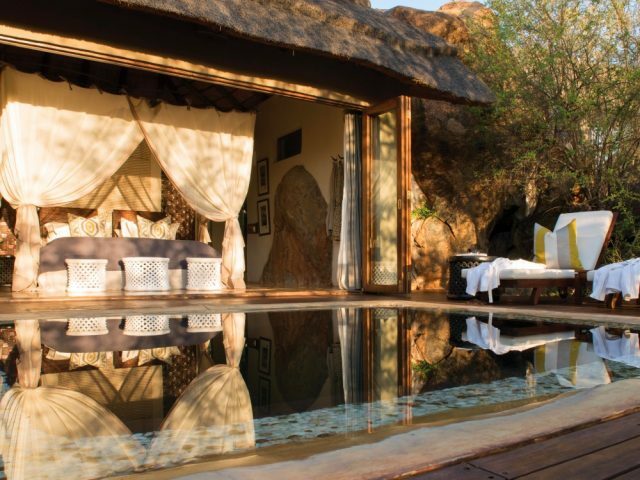 In fact, Lush Private Lodge is actually located in the Black Rhino reserve, a private conservancy on the north-western side of the Pilanesberg which has been incorporated into the National Park. As such you get the best of both worlds – you are able to traverse in the exclusive area covered by the Black Rhino reserve, or travel further afield and access the extensive public road network of the main Pilanesberg reserve (obviously though, in doing this you will also be exposed to public road traffic, so it’s not as exclusive an experience as the private reserves bordering Kruger for example) Nor are you allowed to head off road as in the private reserves. One plus point for keen game viewers though is that despite having just 5 rooms, Lush intends to operate with 2 game drive vehicles, thereby giving everyone a “window seat”. 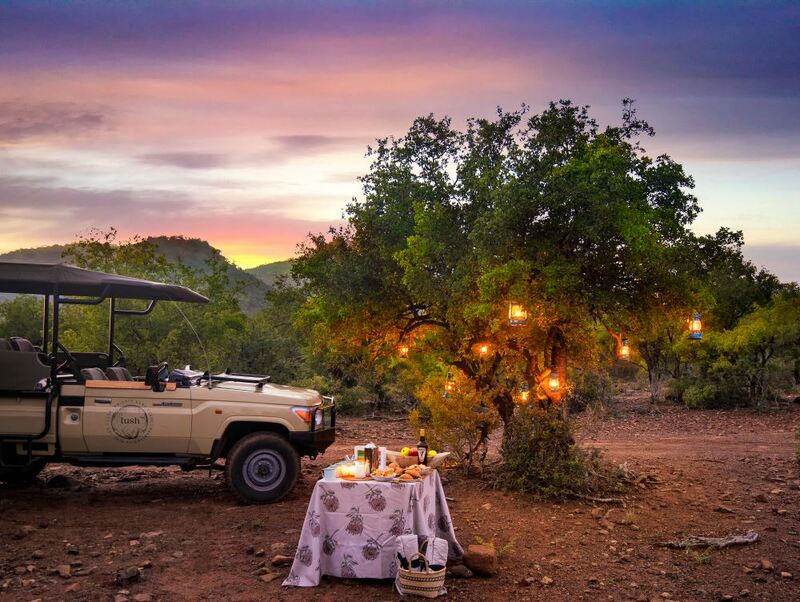 But whilst game viewing in the Pilanesberg can be rewarding and varied, we’re willing to bet that, for many of the guests staying at Lush over the years to come, this is unlikely to be on the top of their list of priorities. 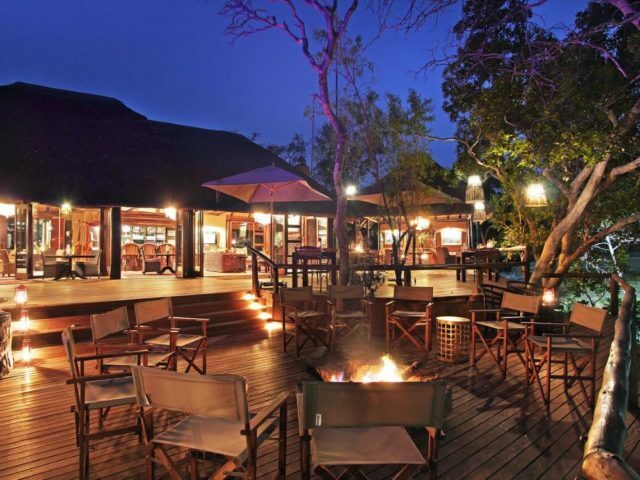 Instead, many of them will primarily be looking at Lush as a stylish, luxurious and romantic place where they can escape to enjoy a quick break from the city - the tranquility of the surrounding bush and being able to go on game drives will simply be the cream on top. There will certainly be plenty for style aficionados to get excited about at Lush! The lodge’s architecture and décor is unapologetically minimalistic and contemporary – for example there is extensive use of raw concrete surfaces, but this has been beautifully balanced through the extensive use of raw natural wood for instance, along with more traditional elements like thatch roofs with exposed ceilings, so that the overall effect is never in danger of becoming too cold and clinical. The main public areas are spacious and stylish with probably the highlight being the wrap-around viewing and dining deck, from which guests can enjoy gorgeous views of the mountains looming over the lodge. With comfortable lounging areas inside and out, this is a lovely spot to order a drink from the friendly barman and chill out with a good book. At night, with lighting atmospherically provided by plenty of lanterns, the romantic ambience is heightened. But whilst the public areas might be attractive, for us the stars of the show at Lush have to be the 5 superb suites (3 of which look out into the bush and the other 2 with views over the mountains) Quite frankly they’re absolutely gorgeous with a string of features that’ll have guests swooning with delight – from the private plunge pools (the first in the Pilanesberg to our knowledge) to the romantic stand-alone baths which are actually inside the bedrooms (with the rest of the stylish bathrooms tucked around the corner), not to mention the lovely outdoor shower on the deck! Add in a Smeg mini-bar and Nespresso machine and we wouldn’t blame you if you stayed ensconced in your suite for virtually the entire duration of your stay, just emerging at meal times to enjoy another delicious meal!